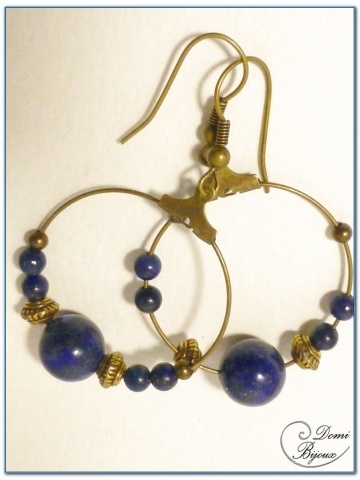 This fashion hoop earrings bronze finition are made with lapis lazuli natural pearls of 10 mm diameter, bronze pearls and small lapis lazuli natural pearls. 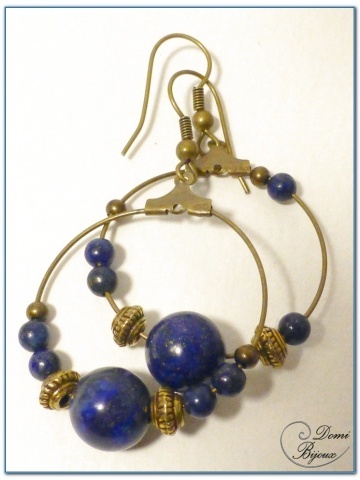 All pearls are mounted on 30 mm diameter bronze hoops . The metal used for hooks and hoops is nickel free, so without allergies. 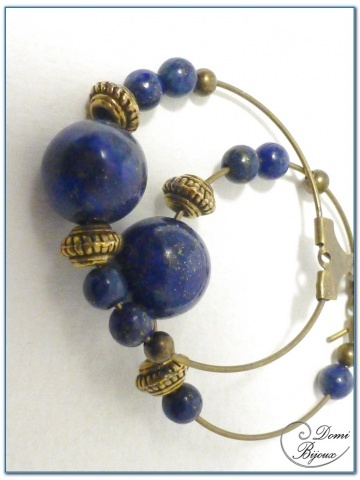 The mix of dark blue colour of lapis lazuli and bronze colour give this earrings an ethnic chic. Like all our jewels, this earrings hand made will be delivered in a nice cloth pouch closed by a link.